Some of you may have thought that this moment would never come. 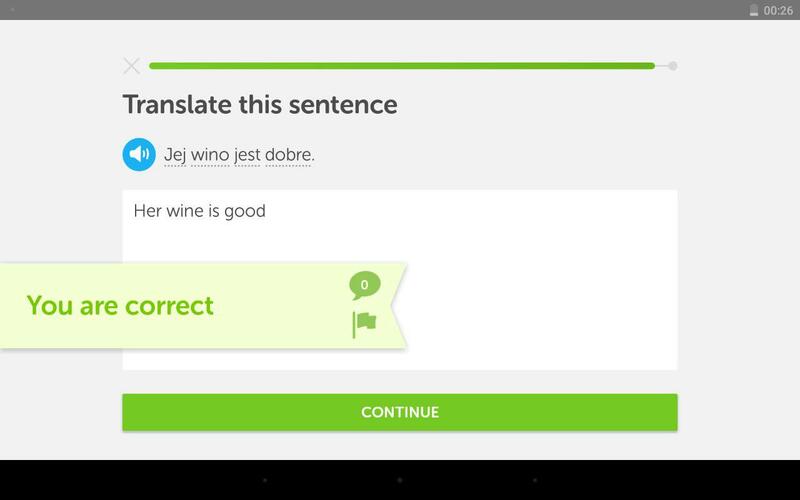 But it's happening: you can now use Duolingo to learn Polish. The course has just entered Phase 2 (Beta). This means that, although the tree is complete, there may still be some rough edges that we will have to smoothen out. Please bear with us and use the report function to tell us about anything that might need fixing or improving - missing translations and hints, unnatural sentences or unintelligible audio. All kinds of feedback are greatly appreciated. Of course, we will be there to help you out. Feel free to use our Discussion forums to ask questions or simply talk about your experience with learning Polish. Thanks to all those who supported us and believed in us during this long journey. We did everything we could to release the course as soon as possible without sacrificing its quality. But this is not the end. We are aware that there are still some aspects that we have to work on to make the course as effective and enjoyable as it is possible. We are going add Tips & Notes to more skills during the Beta as well as consider your feedback to improve the learning experience. Thanks to everyone who made this possible - above all, to current and former contributors and the entire Duolingo team. Great job! There is no better reward for your effort than knowing that people from all around the world can now learn this wonderful language for free. Guys, you did a great job! I've just done first lesson and as a native I can say that everything is explained very good and the TTS is awesome! I would love to chat. My parents were Polish and I have forgotten how to speak! The spelling is going to kill me, but I'm so excited to finally be learning Polish here! So glad to have the course up! Any idea when it'll be supported on the mobile platform? I guess it might be a glitch or something but here's what I did and you might want to try it yourself. First, select Polish language (so that Home brings you to the Polish tree) on the website and then open Duolingo on your Android device (not sure it'll work on iOS though). When you are asked to change the language because Polish allegedly is not supported yet, try to tap on the area that is not covered by the prompt (it's a lot easier in landscape mode). Then all you can do is wait for the Polish tree to appear and try to be quick to select the right lesson because the message will appear again. I hope it'll work for you as well. This works for me too, you'll have to repeat the process after every lesson but it's a nice little work around. Once the stage 2 (beta) is completed. Do we know what sort of timeline to expect there? Couple weeks, months? It's usually after the report rate goes below a certain treshold. Sometimes other improvements are done before it is released. I would venture to say that in a few months. 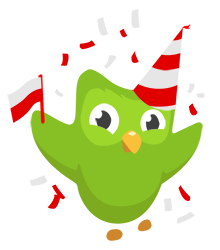 For a recent comparison you could take a look at the situation for Esperanto. I did notice something & reported it already but they're aren't any polish letters to choose. I'm just curious was this overlooked or it's just a glitch? This little “keyboard” with Polish diacritics will be available soon. For now, you can just type their corresponding standard letters – a for ą, l for ł etc. Sorry for the inconvenience. If you use a PC, you can adjust your keyboard and then use the right hand side alt key to get the diacritical marks for those crazy cool vowels and consonants! Thanks for all your hard work. Can't wait to have a crack at the course. I've only just dipped my toe into the ocean that is the Polish language, but I must say that the first few lessons are clear and effective. The TTS voice is quite pleasant and natural sounding and the tips & notes are well written. Although I plan to finish the Russian tree first (and that may take years ha ha), and despite having no pressing need to learn Polish, I will continue to dabble a bit and slowly make my way a bit further along the tree. It's a very interesting language, and I appreciate all the hard work that went into bringing it to the Duo public! Do any of the lessons have speaking practice? I've noticed most have audio where we have to listen and write, but none have anything we we listen then repeat or we see text and say it in Polish. Its in the tips and notes section of "common phrases"
It would be great if that were moved to "Basics 1"
It got stuck for some reason. I thought the same thing. Thank you so much for your hard work and dedication! Thank you for all the effort you guys have put on this. I'm so happy. Thank you Team Polish! Thanks a lot guys. Your hard work in making this course is much appreciated. I look forward to learning! Thank you for all your hard work! Very excited to get going here! Hello, if anyone is wanting to skype to practice their Polish feel free to message me and i'll give you my skype. Pani się uczy? Chcę mówić z kimś, kto też uczy się polskiego. Mówię po hiszpańsku. Just looking at that, it looks so daunting for someone only speaks Germanic languages. If you're looking to learn Polish, you will find that with practice it's not as hard as it looks! Honestly, it just takes practice. I wish you luck with language learning. Thank you. I have enjoyed the start I have made to the Polish course but did find it difficult (especially since I have no past experience with slavic languages). Although, as you said, I'm sure it will become easier over time. Dziekuje bardzo! I've been waiting for this course since I first learned about Duolingo years ago. English from Polish just wasn't the same. I have some basic Polish already, but am doing the course from the beginning and am really enjoying it so far. I've been following this project's development for over two years, after spending some time in Poland. Very grateful for all of the hard work that went into making this happen. Is there a larger place for feedback items in the beta? For instance... I use a Polish keyboard to do the special characters (ł ą ę), and the Duolingo interface has a really terrible rendering of those characters. It would be nice to see the special characters in the same font. Thank you guys for the amazing job!! PS: when this course will be available on the app? I'm thrilled that this course is out, I feel like I have been waiting for ages. Loving the course so far, the voice sounds great. Polish is so different from anything I am familiar with, but I know that will become easier over time. I remember finding Italian super confusing. Even Chinese has begun to make sense to me so I know Polish will get there for me. I'm hoping I can talk my sister and cousins into learning with me, we've been talking about learning Polish for years! Excited for this course. Lots of studying to do before a trip planned next July. Hoping to get through the entire tree before heading to Krakow. The spelling is actually going to be the easiest part of it :) Once you get your head around how certain consonant-combinations (cz, rz, dz, ...) are pronounced, polish is quite easy to spell because all words are spelt exactly as they sound. Even foreign words. Thanks guys for all your hard work! Already started learning and loving it! Great, just in time to get some practice over holidays & before my next visit to Poland. Thank you so much Polish team, I really appreciate it. Thank you so much! I've been waiting a long time for this. My grandparents emigrated to the USA from Poland in the early 1900s. My parents learned Polish from them and also went to "Polish school" at their church. But they never taught us, instead preferring to use their Polish as a secret language when they did not want us kids to understand. They only taught us a couple of words and phrases. Anyway, I'm very happy to see this course here. An early Christmas gift. One question: Will there be any immersion in this course (i.e. translation of documents) like in Spanish? Also ... my main interest in Polish, is due to my involvement in the Atari 8-bit retro computer demo scene. In the late 80's, after the fall of the Iron Curtain, Atari 8-bit computers became popular in Poland, due to their affordability ... and a thriving demo scene exists today. There are a lot of Atari sites, software, and utilities, all written in Polish. Maybe some terminology might make a good bonus skill? Hey! When will Polish course be available on mobile app, iOS and Android? Best regards! Somehow I totally missed this the other day but what wonderful news that we now have the Polish course!! Dziekuje to all the team! Going to start playing with a few lessons and plod along with it at the same time as my German and Russian and various other non-Duo languages. It's really a great course so far, thanks very much for all of the effort team. So thankful this is up and running! Dziękuję! Yay! I've been waiting for this course since I discovered Duolingo :D I got an A1 level during my Erasmus in Poland, so I think the start in this course was quite "easy". However, it is going to get more difficult little by little, and if you take into account that I'm not a native english speaker...Anyway, I will work as hard as I can for this language has something that made me kinda love it :) :) By the way, thank you so so much, I think you did a great job! This course is absolutely brilliant. I have only one query so far- why do new vocab items in the lesson overview appear in declined forms which aren't necessarily used, rather than the default nominative form? Could you provide some English specific hints on how to pronounce each syllable? I'm so happy, so happy about this!! What I learn is sticking. And to think that after only a few short lessons, I'm learning things that used to overwhelm me - like plurals, verb forms, noun cases. Not just random words and stock phrases. Things like mężczyzną, jedzą, wodę, wy macie. chłopcy, chłopcem. I'm getting my motivation back because I finally feel like I'm learning usable Polish now, in a fun way with minimal effort. Good job and thank you! Hi all - I appreciate the Polish language being added to Duolingo. My father's side is all polish and very good with learning/speaking languages. After 3 months in Poland over 6 years ago, it is still sticking with me. I would very much like to speak more Polish with my family, so this is a great resource. I just made my way up to checkpoint 1; a great course! Thank you. I am now going back over all the lessons I have taken so far to confirm my knowledge thereafter I will continue. One feature I am yet to come across is the pronunciation tests. Could be good fun as this is something I am finding especially challenging. Got an email about the new courses while over in Poland to celebrate Sylwester. I hope to surprise my mother in law with some Polish next time I see her. This is awesome!! Thank you so much. Will it be available in the app version as well? Polish is already available in the android app and has been for a while. Dziękuję bardzo za wspaniałe wyświadczenie!